LGBTQ is in the spotlight as Bucks County Museum reveals its programme for November. People of all descriptions (lesbian, gay, bisexual, transgender, transsexual, queer/questioning) are welcome, say the Aylesbury venue organisers. See Bucks Museum Pride under ‘Event’ below for full details. Music and movement sessions in the museum suitable for babies, toddlers and preschool children using props, rhymes, songs, music and dances. Sessions last 45 minutes. £4 per session. Call to book. Drawing on previously unpublished material, Peter Vass, Oxford Brookes University, examines the way women were represented in propaganda in the WW1. £5 per person. Call to book or visit the website. The museum says: ‘We welcome our LGBTQ community to join us for Bucks Museum Pride with LGBTQ entertainment starring UK’s famous drag king Adam All and West End star and drag queen Topsie Redfern. We are also looking to collect objects for future displays showing community stories and would like to represent the LGBTQ community. Please bring along everyday objects that have your LGBTQ story attached to help the museum tell the hidden story of the Bucks LGBTQ community. This is an LGBTQ event – all welcome including straight allies. Free event supported by the Arts Council but donations welcome. 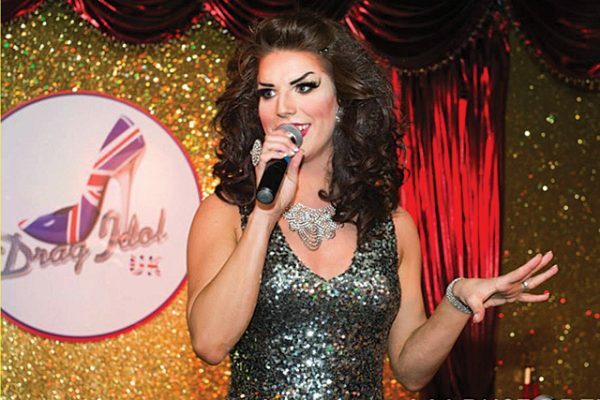 Call to book or visit our website.’ (Pictured above: Drag queen Topsie Redfern). Enjoy browsing a fantastic range of stalls within the historic buildings, including handmade toys and clothing, cards, gifts, jewellery, stocking fillers, art and home décor and seasonal refreshments. Entry by donation.